As of May 1, 2016, Mover no longer supports Copy due to their service shutdown. Read on for the original article. We’re pleased to say that Copy is joining Mover as a Partner Connector! Copy was created by Barracuda and is a full-featured cloud storage provider offering applications for all platforms, especially to business users. 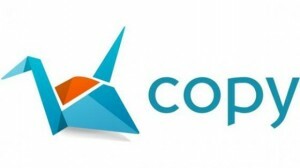 Copy is a great option, particularly as an easy-to-use, secure and scalable corporate file sharing platform. We’re excited to provide support for their services in Mover’s ecosystem, and can’t wait to see how people use this Connector to move files in and out of Copy. There are lots of options to increase your personal storage with Copy. Right now they’re even offering 5GB of extra free storage for users and each referral you bring in to the service. You’ll be hearing more about this integration in the coming weeks and months, so stay tuned. Meanwhile, don’t forget to check us out on our Twitter, LinkedIn, and Facebook pages!